Sorry I haven't posted much of late I have just been super busy!! 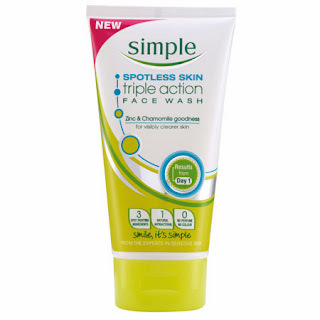 Today I'm writing a review of 4 different face washes. For the past four months I have used four different face washes all for a month each to make the comparisons fair. I have never really suffered with spots but I started getting the odd one or two and my skin was different from how it normally is which is what prompted me to do this. 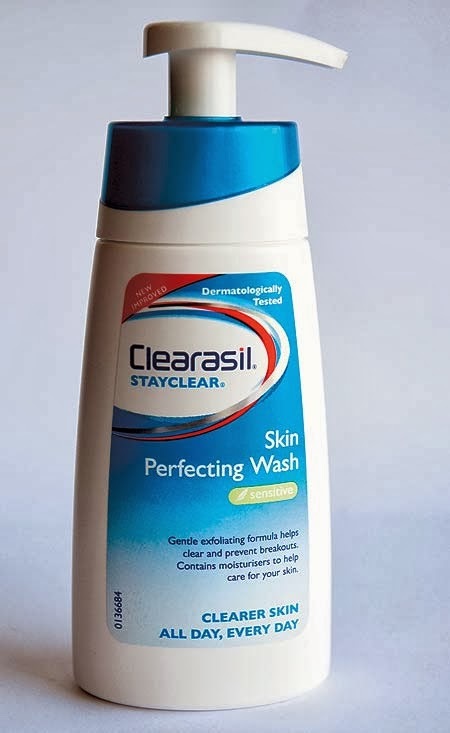 I first tried Clearasil after seeing the adverts and assuming that this is what most people who get spots use I thought I would give it a go. It doesn't really have a smell as such and the texture is smooth. 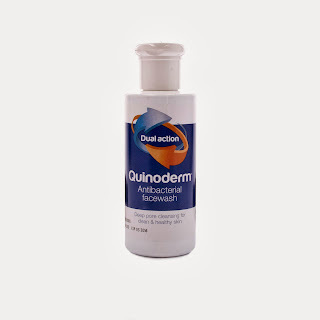 Unfortunately this made my skin break out in even more spots, I even got a funny rash from using it but even though it made me look terrible I still carried on using it. I personally wouldn't recommend this to but this is just because I had a reaction to it and it also made my spot situation a lot worse. However I know some people who have used this and it works fine for them. The cost for this is around £3.58 and available in most chemists, supermarkets and beauty shops. I would give this product 4 out 10. While shopping in superdrug I saw this product on offer so thought it would be great to add to my list I was originally only going to use three products. I love this it has tiny little bits in that feel great when massaging into your skin. It has a slight smell but nothing over bearing just a fresh sort of smell (I'm useless at describing smells). 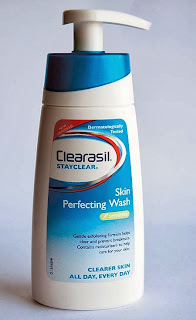 This helped clear up some of the spots but like with the Clearasil it did bring a few little spots out. After using this it left my skin feeling so smooth and fresh. My boyfriend also uses this and this is his favourite out of all that I have tried. The cost of this product is a bit cheaper then the Clearasil it is around £3.00. I would give this product 8 out of 10. I was sent this product to try (this in no way affects my view on the product). I was surprised at this product it had a pleasant smell and the liquid was quiet thin compared to the previous ones. 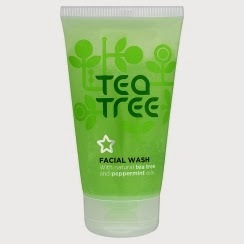 The first time I used this I was really pleased as my skin was left feeling so soft, but this did nothing for my spots. In fact when I was using this my spots were less like spots they seemed to become like little blisters but not painful and when they popped I was left with a red mark and then it scabbed up which as you can imagine left me feeling crappy and ugly. Again this product could be right for you but it just wasn't for me. You can pick this up for around £2.25. I would give this product 6 out of 10. The final product I tried was Superdrugs own facial wash. As you can probably guess from the picture it smells like tea tree which I love. This has beads in that give the was a grainy texture but feels good on the skin. This is my fav product it reduces my spots leaves my skin feeling amazing fresh and smooth. If I had a cut or a spot that had been picked (I know bad of me but it was an accident) it stung a little. You can but this from Superdrug for £1.99 atm but I think this is a special price and might go back up to £2.99. I would give this product 9 out of 10. Please remember that we all have different skin and what might or might not work for me might be different for you. 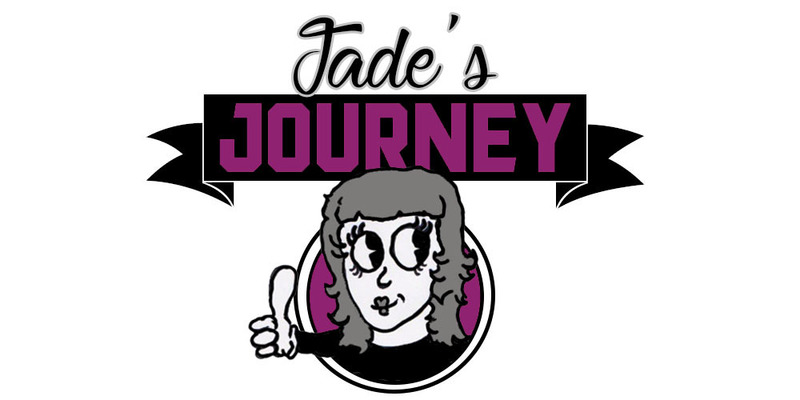 I wanted to do this post as I have found it difficult to find what works best for me and that the big name brands aren't always the only options which I stupidly thought for a few years lol. I hope you have enjoyed reading this and that you will try some of the products mentioned. If you already have or are currently using any of these I would love to read your thoughts on them, so just leave me a comment.